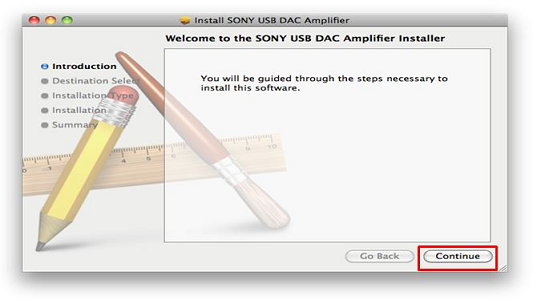 Please uninstall the old version driver software before installing a new driver software. 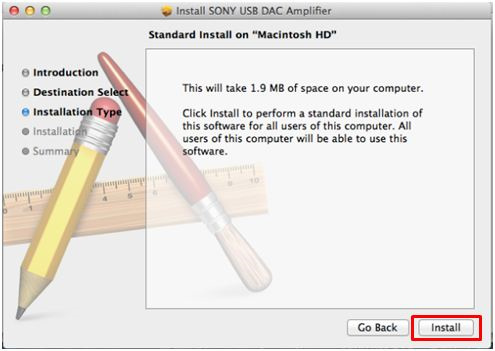 This step is necessary when you have installed previous Driver version. 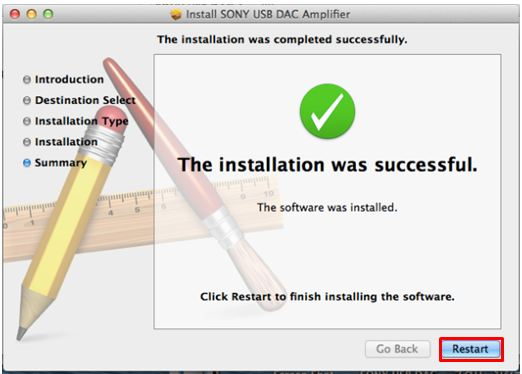 Double click SONY USB DAC Amplifier Uninstall.app. Select OK and start uninstall the driver. Select OK and the system reboot. 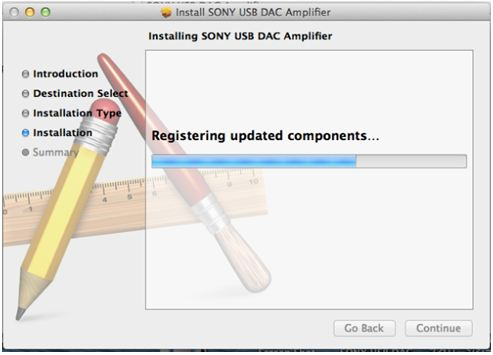 Open downloaded SONY_USB_DAC_Amp_Driver_(Mac)_V1.1.dmg file, double-click SONY USB DAC Amplifier.pkg file to start installer. Press Continue to install driver. Installation completed. Press Restart to complete installation and Reboot.